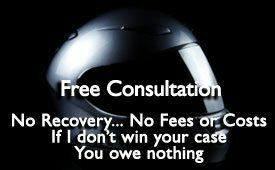 If you haven’t yet spoken to the other driver or their insurance company, before you inadvertently say something to damage your motorcycle accident claim, call motorcycle accident lawyer Lee Gaber at 888-292-5352 as soon as possible. Either call 888-292-5352 or out this form to have us contact you. 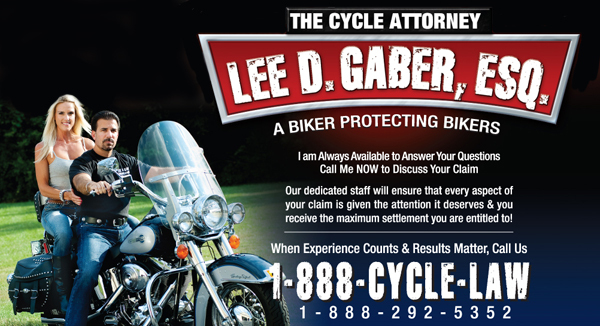 “I was referred to Mr. Gaber’s office through a prior client of his. With my friend being so satisfied, I called Lee myself. I’m extremely happy I did. Lee, as well as his assistant Tammy, was very helpful. There were several times I would be, maybe too much so, overwhelmed by what I was going through as a result of my motorcycle accident.